'I MAESTRI' meaning 'master artists', which is difficult to achieve, is the plural form of maestro. The group are all men in their 30-40s, each one of them has studied in Europe and in North America, and currently perform all over the world. I MAESTRI successfully performed at 'Suntory Hall' in Japan in July of 2008. They followed suit with a performance in WelCity Hall in Osaka, Japan, DCM Hall in Nahodka, and the Philharmonia Hall in Vladivostok and so forth. The team was also invited to Taiwan, performing at the National Concert Hall in Taipei on July 15, 2010, and at Act City Hall in Hamamatsu, Japan on July 20, 2010. Also they had concerts in Beijing (2012), Nahodka (Japan, 2013) and Kazahstan (2013). They are getting invitations from LA, Japan, Taiwan, as well as Singapore, which shows that they are recognized by the world as truly a world-leader of Korean cultural content. 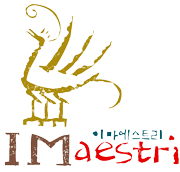 This year in Festive Korea, I MAESTRI is going to impress a Hong Kong audience with their sound of unheard of harmony in the Opera Gala at Asia Society.